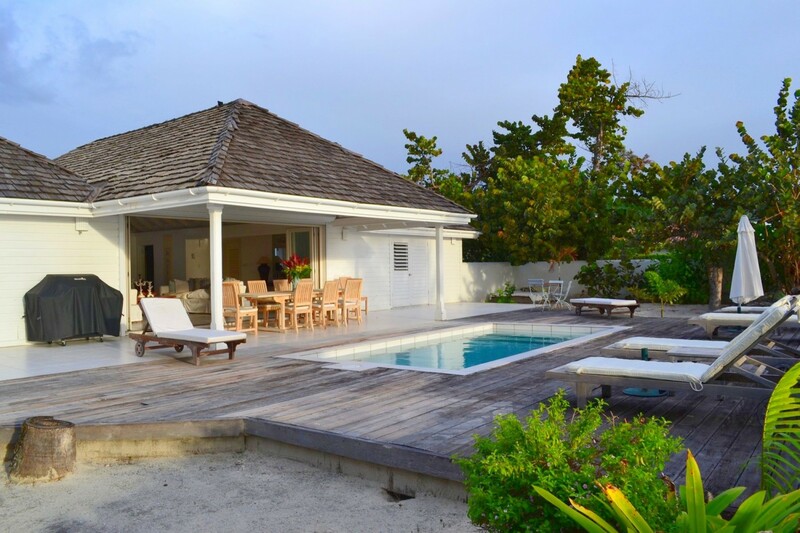 Welcome to Antigua White House, a stunning 4-bedroom villa in Jolly Harbor Antigua. 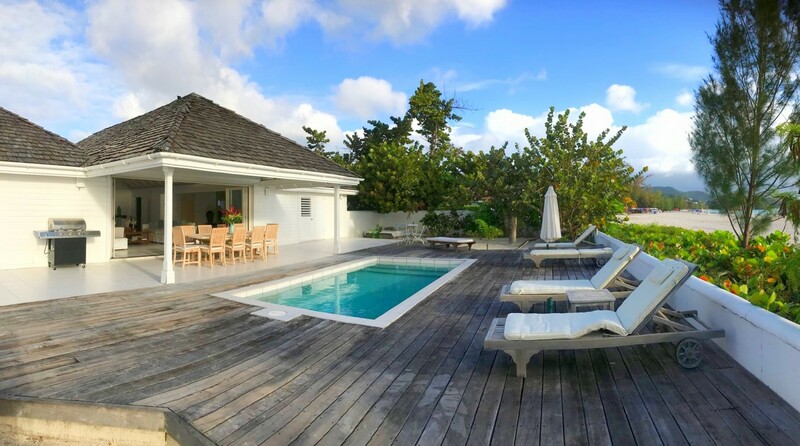 This exceptional luxury waterfront property is your Caribbean Dream come true. 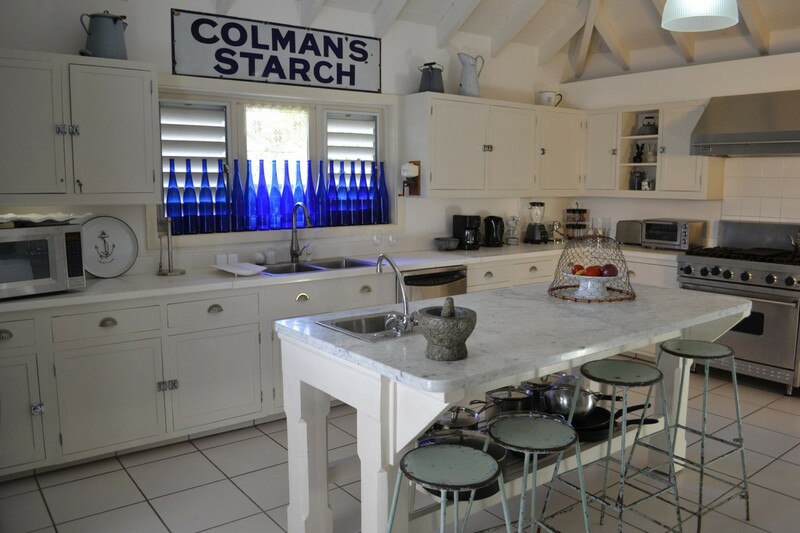 Surrounded by tropical foliage and with a private pool, the 5,000 sq ft villa is tucked away into the quiet part of Jolly Harbour’s South Finger, but only a short distance from restaurants, the marina with its commercial center, major supermarket and an 18-hole golf course. 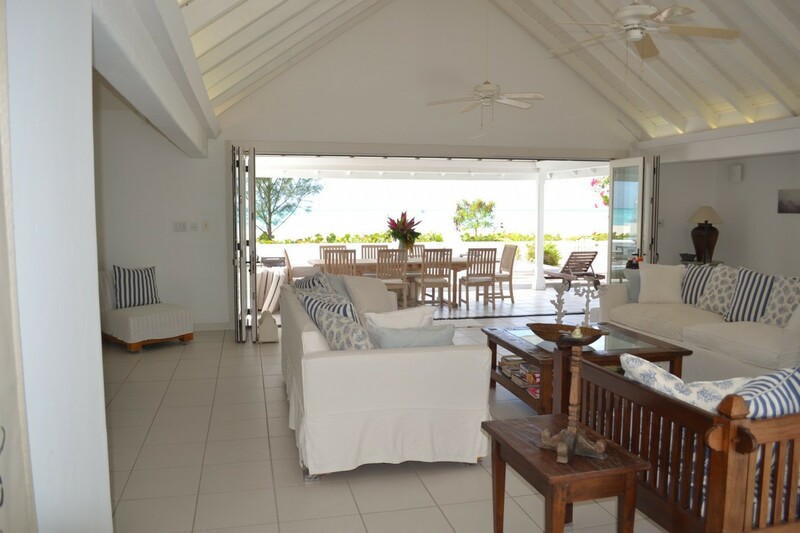 High beamed ceilings, an atmosphere full of light and air, and an interior that combines modern comfort with nostalgia and fine Caribbean Living - This classy 4-bedroom villa has an irresistible appeal. 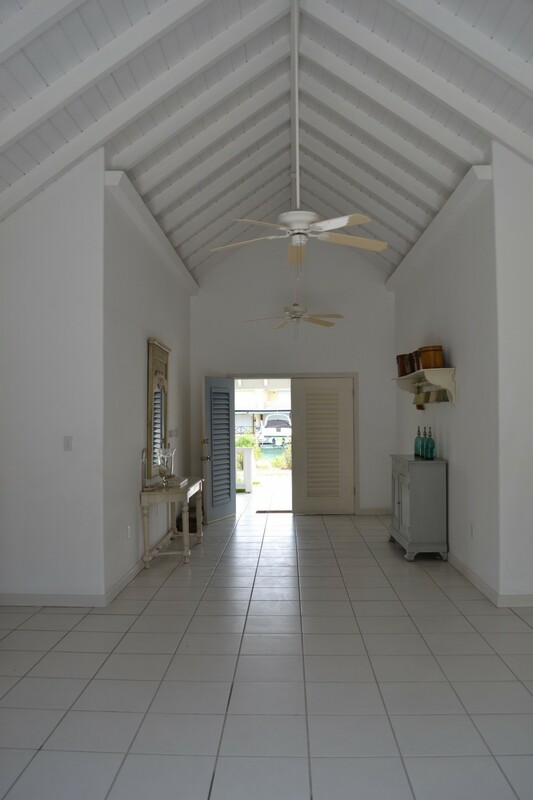 Through the front porch you step right into a generous open-plan foyer that, on both sides, accommodates spacious bedrooms with four-poster-beds and luxurious en-suite bathrooms that are made for rejuvenation of body and soul. 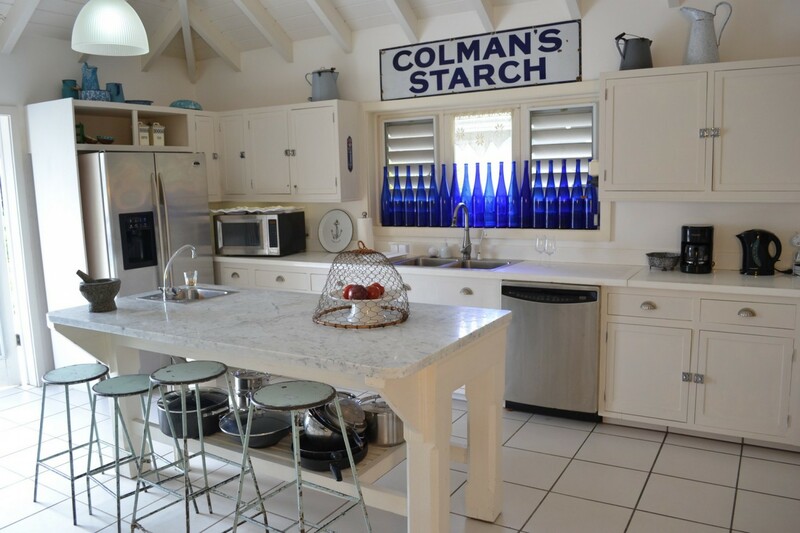 The house, beautifully decorated in prevailing white and blue tones, is designed for alfresco living and has spacious common areas open to the ocean, but at the same time provides privacy for its guests. 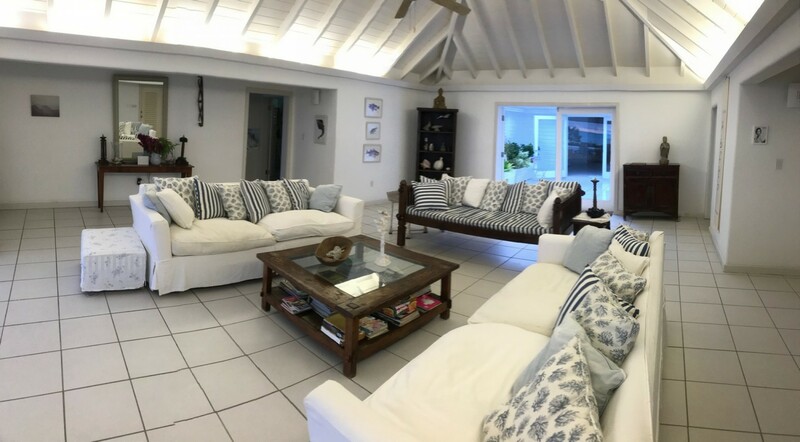 Adjacent to the foyer is a courtyard that takes you to the living room with comfortable sofas and a breathtaking view over the ocean and the close-by islands of St. Kitts, Nevis and Montserrat. 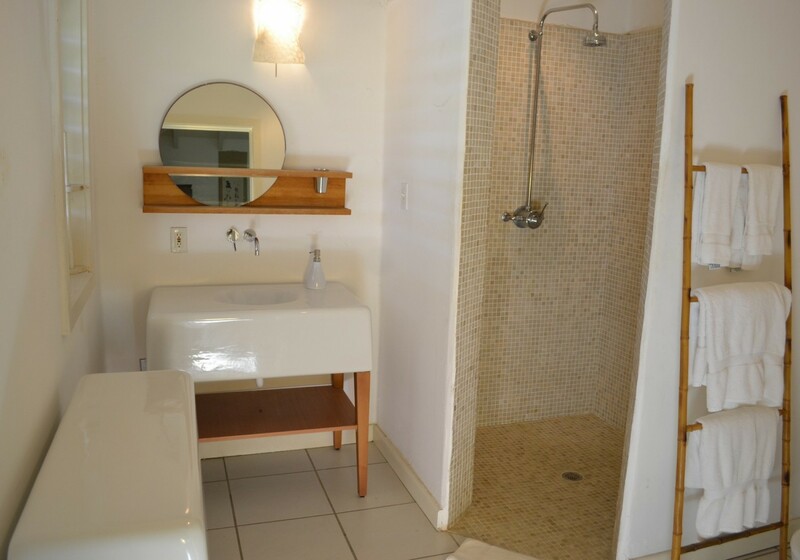 To the right is a large and charmingly decorated kitchen with all modern amenities. 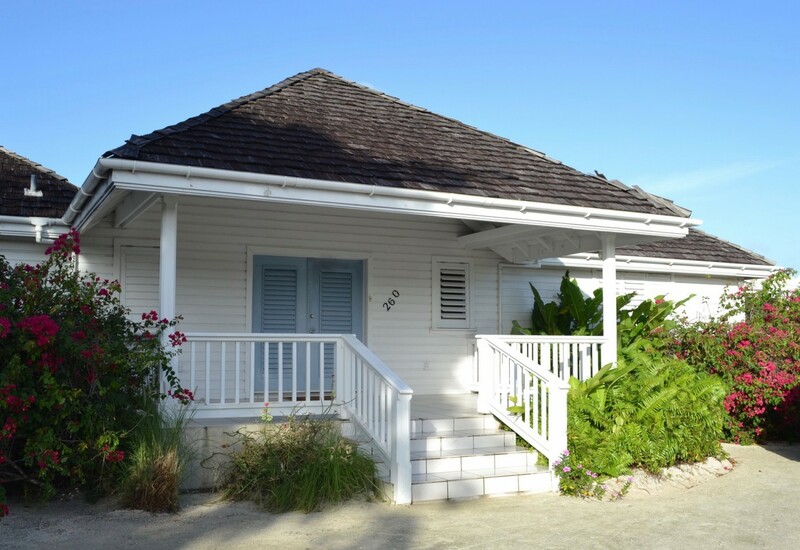 Step outside, and you are on a spacious canopied veranda that offers dining for 10. 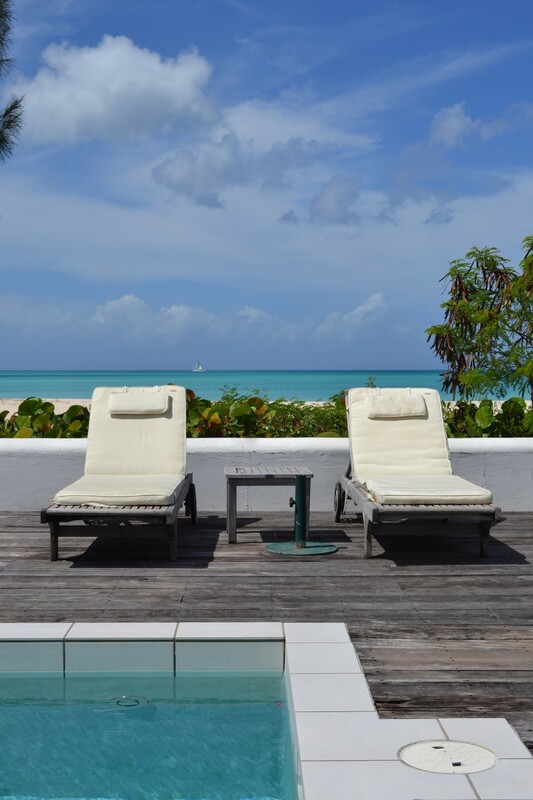 Right next to it you will find the pool deck, where, on comfortable beach loungers, you can relax and sunbathe, sip a cocktail or watch one of Antigua’s spectacular sunsets. 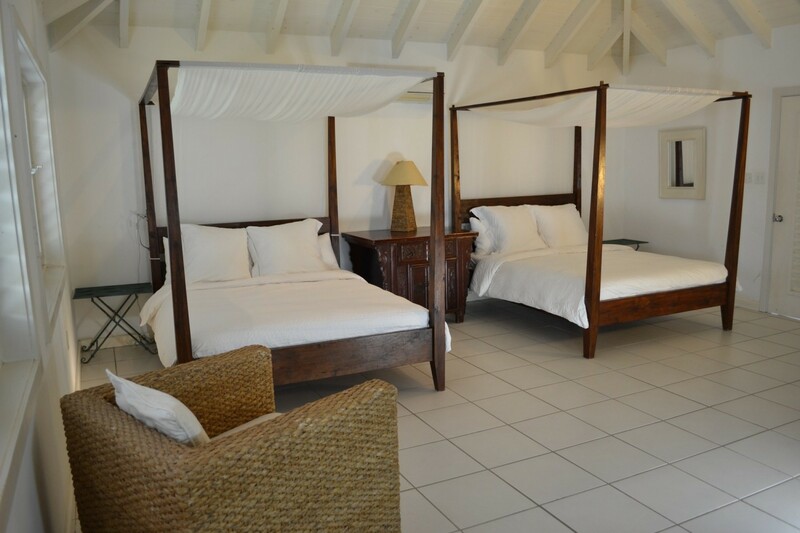 It is only a few steps across powdered sand to the gentle warm Caribbean water. 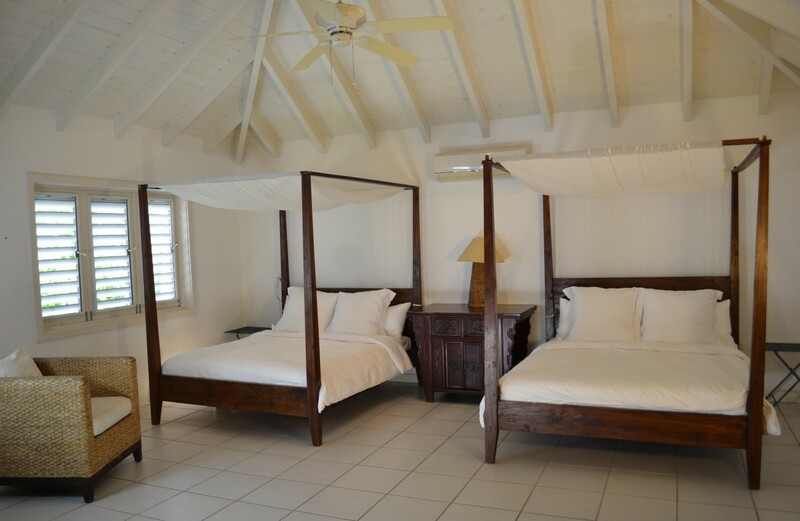 Antigua Whitehouse is an outstanding property and ideal not only for families but also groups of friends. 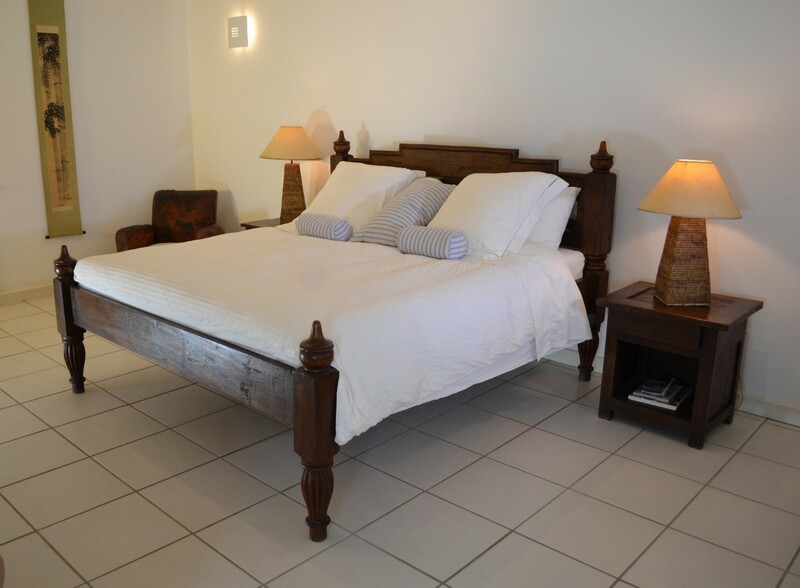 BedroomsThe villa features 4 luxury bedrooms sleeping 8 guests. 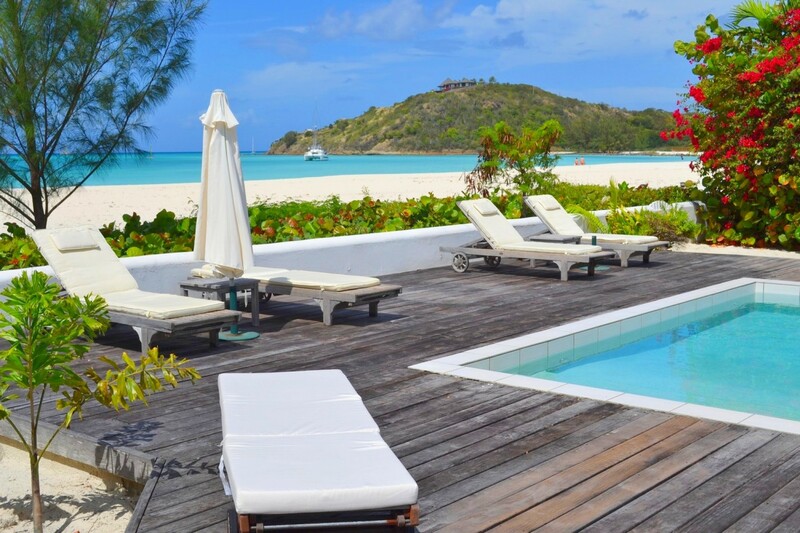 Antigua is ringed with white sand beaches, surrounded by beautiful azure waters. Rolling green hills, picturesque villages, a lush and enchanted stretch of rainforest and the beautiful white beaches make up the landscape of Antigua. It is a beautiful getaway and many tourists enjoy the energetic island culture but also the peace and tranquility that the surrounding seas bring. Antigua is the perfect place to go SCUBA diving and sailing (visit Antigua during Sailing Week which occurs annually in April). As a popular stop for major cruise ships, Antigua offers great duty-free shopping. Antigua offers many great island tours – go shopping in the capital (St. John’s), visit historic sites, check out the beaches and local residents or sail to the nearby islands. 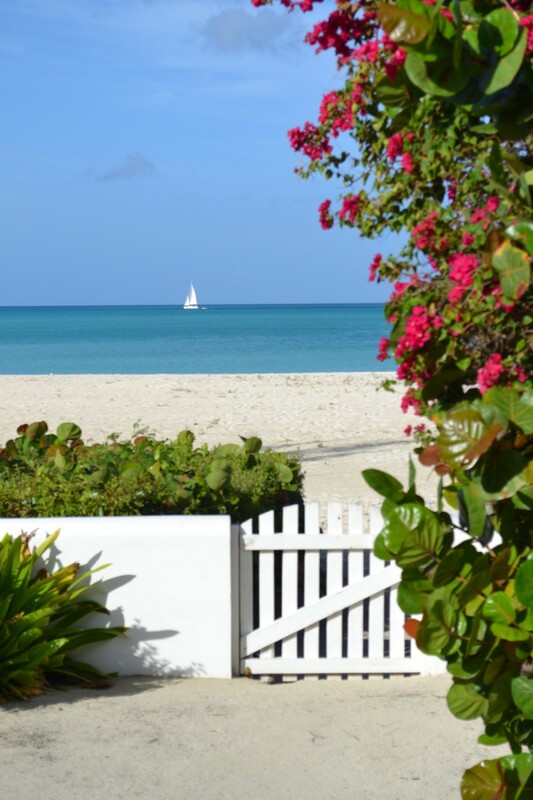 There is no shortage of activities in Antigua, but also complete tranquility. 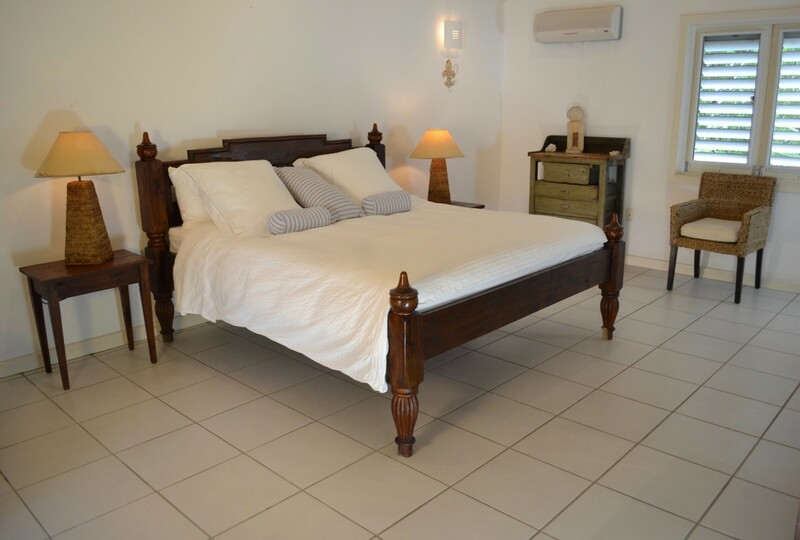 Jolly Harbour is a gated community which offers a full range of amenities, within walking distance from your rental villa including; supermarket, bank, ATM, bars & restaurants, shops, pharmacy, hair and beauty salon, golf course & gym, swimming pool, tennis courts and full-service marina. *Please note some activities may or may not be available at all times.